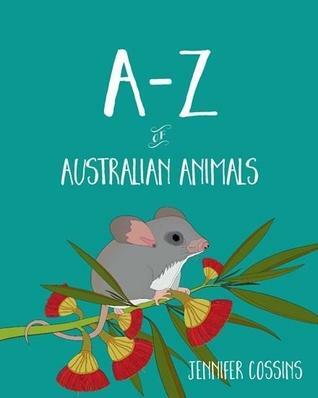 From the award-winning creator of A-Z of Endangered Animals comes a stunning non-fiction picture book for boys and girls with a love of animals and a thirst for all things encyclopaedic. This exquisite full-colour picture book is packed with interesting facts and is perfect for young conservationists and students with a keen interest in the world around us. On this expedition through the alphabet, you will encounter some of the Australia’s rare and enchanting animals, from the gorgeous azure kingfisher and the sleepy koala, to the shy numbat and the friendly zebra finch. Come on an illustrated journey through Australia’s unique wildlife with Tasmanian artist Jennifer Cossins. Delightful! This is a beautifully detailed, gorgeously illustrated book that children, young and old will adore. Buy for your grandchildren, children or overseas friends and family – all will be impressed. This entry was posted in Bodhi's choice, Book supplied by publisher or author for review, Childrens Books, Post Script: Book Reviews and tagged Australia, childrens book, gift suggestion. Bookmark the permalink.